Laparoscopic gallbladder surgery is a minimally invasive procedure performed to remove a diseased gallbladder through small incisions in the abdomen. A thin flexible tube called a laparoscope which contains a camera and light source along with special instruments, are used to carry out the procedure. The gallbladder is a small pouch-like organ situated under the liver. Ducts from the liver carry bile to the gallbladder where it is stored and later released into the small intestine for the digestion of fats. The pancreas situated next to the gallbladder releases its secretion into a duct which joins the gallbladder duct before it empties into the small intestine. Gallstones may develop from the stored bile in the gallbladder. They are often harmless but can sometimes cause pain and inflammation of the gallbladder called cholecystitis. A gallstone may enter the duct system and cause blockage. Inflammation of the pancreas can occur with blockage of the pancreatic duct, a condition called gallstone pancreatitis. Rarely cancer may develop in the gallbladder. Gallbladder surgery is performed to treat gallstones, gallbladder disease which produces symptoms such as pain, nausea, vomiting and fever, as well as to treat gallbladder cancer. The diseased gallbladder may be safely removed through surgery as it is not vital for health or digestion. Laparoscopic gallbladder surgery may not be ideal if you have severe gallbladder disease, obesity or a history of abdominal surgery. You are instructed to not eat or drink after midnight before the operation. Surgery is performed under general anesthesia. A small incision is made on or near your belly button. The laparoscope is passed through the incision. A few other similar incisions are made through which special instruments are inserted to perform the surgery. Magnified views of the operative site are visualized on a monitor to guide your surgeon throughout the procedure. 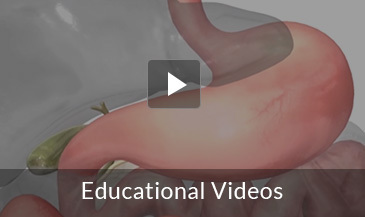 The gallbladder is carefully separated from surrounding tissue and removed through one of the incisions. A special X-ray called a cholangiogram is then obtained to view the duct system for any abnormalities such as stones or strictures. These may be treated during the same procedure or with a separate surgery. The instruments are then removed and the incisions closed with absorbable sutures. The entire procedure takes no more than 2 hours. If surgery becomes complicated, it may be necessary to convert to an open procedure. Following surgery, you may be allowed to return home the same day. Pain is usually minimal but you will be given pain medications to keep you comfortable. You will be able to resume your regular activities within 7-10 days. Gallbladder removal does not impair digestion in most people and no dietary changes are required. Gallbladder surgery involves removal of the gallbladder. It is a common procedure that may be performed laparoscopically to minimize postoperative complications and enable a quicker return to your regular activities.